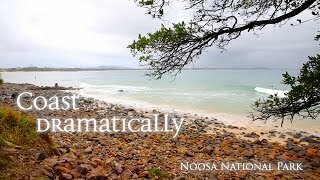 Follow the shoreline between Noosa Headland day-use area and Sunshine Beach, passing over several headlands boasting outstanding views across coastal she-oaks and pandanus palms. Peer into the trees in search of koalas snoozing or munching on leaves. Feel the sea spray and feel the thunderous sounds of waves crashing ferociously into the rugged rocks at Boiling Pot, Dolphin Point and Hell's Gates. Visit between June and November and you might spot humpback whales cruising past the coastline on their way to and from northern breeding grounds. Watch from several vantage points as turtles and dolphins drift and skim through the waves.